Happy Summer Stampers! I can’t believe how fast the year is flying! I have discovered that being retired does NOT give you extra time. Retirement gives you extra things to do that you didn’t have time to do when you were working!!!! On a positive note, I haven’t fallen since February when several of you had the pleasure of seeing me fall straight back. We are having August Stamp Camp – dedicated to the Young at Heart. The dates are Thursday, August 1st from 3 to 9 PM and Saturday, August 3rd from 9 AM – 4 PM. Please note that I will NOT be having Stamp Camp on Friday, August 2nd as I will be accompanying my husband as he takes my Mother and Debbi to the airport. Mother will be returning home to San Jose, CA and Debbi is flying with her to make sure she gets home safe and sound. Flying when you are 95 is far from easy! We will be doing 3 Young at Heart cards – Henry Says, Oh Hoppy Day, and a Pinwheel Spinner card. The cost will be $7. September Stamp Camp will be held on September 5, 6, and 7. 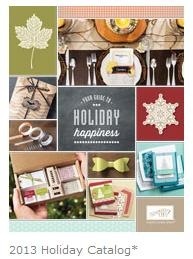 The September theme will be Summer Flowers, plus a Christmas/Holiday card. Today, I thought we would look at “Henry Says” – a card created by Debbi. Incidentally, Debbi will not be at August Stamp Camp, so you will have to put up with me! Please be kind!!!!!! “Henry Says” is a set that features Henry the elephant, and several sayings. Here, Henry is commenting that “You’re Unforgettable” and is sending a spray of hearts. I love the little bowler on his head. Henry has been stamped and cut out on Designer Series Paper (DSP). However, because I am such a kind person (cough cough), I have stamped and cut out a number of red and blue elephants so all you have to do is sponge your sky and grass, and adhere Henry, You can choose the message, hat, etc. yourself. Here, se see Henry proclaiming a birthday message. 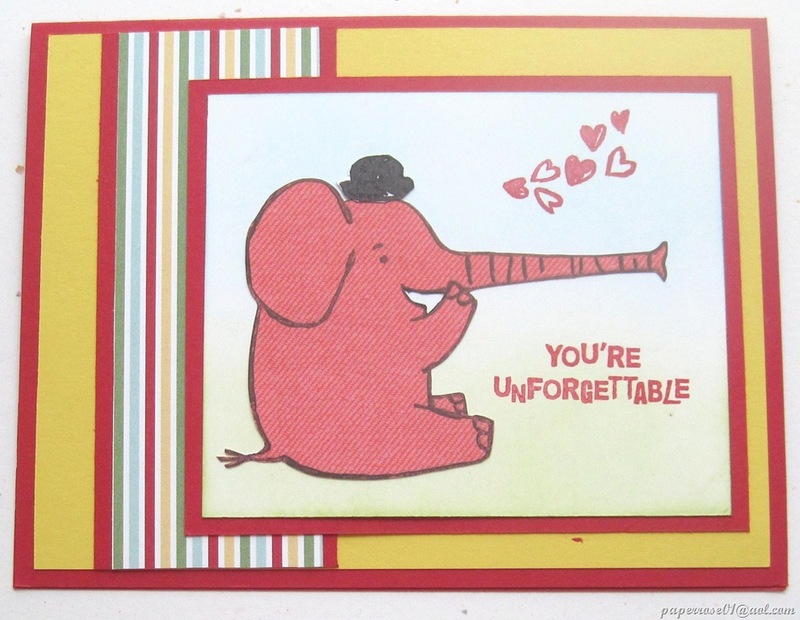 This card is perfect for a child, or for anyone who likes elephants and is “young-at-heart.” Although you can’t see it, the sky area has been lightly sponged blue, and the grassy area has been lightly sponged green. 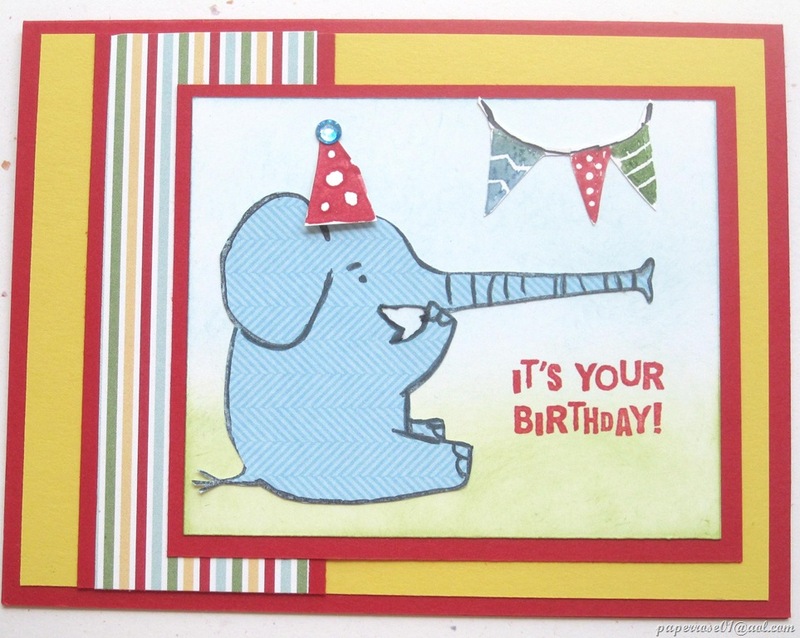 The red, blue, yellow, and green color scheme makes this a happy, cheerful and bright card!